Secretary of State Mike Pompeo faced pressure from Mexican President Enrique Peña Nieto as well as protesters to quickly reunite migrant families who have been separated due to the Trump administration's "zero tolerance" border policy, reports CBS. 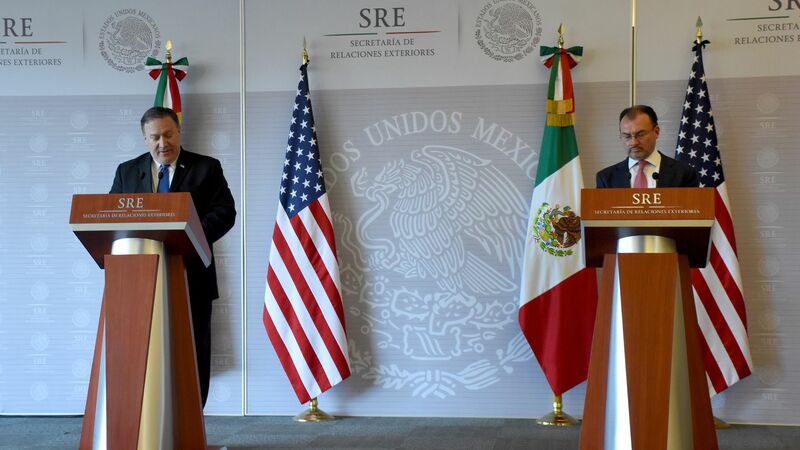 He visited the U.S.'s southern neighbor to meet with Peña Nieto who called for "a permanent alternative that prioritizes the well-being and rights of minors," and president-elect Andres Manuel Lopez Obrador. "We know there have been bumps in the road between our two countries, but President Trump is determined to make the relationship between our peoples better and stronger. We wanted to come down here to let you know that President Trump cares deeply for the success of the relationship between our two countries. Our presence here today signals that to you."